As moms we are über critical of everything we do and say relating to our offspring. I think it’s in our genes or perhaps it is something in the slimy gel they slather on your belly just before your ultrasound. Where ever it comes from and whatever the reason, the fact remains that we spend an awful amount of time focussing on the things we perceive to be lacking in our parenting repertoire. That’s why I love the idea of the #rockingmotherhood hashtag challenge. The concept came from Patricia a fellow Porra mom of 2 who blogs on White Camelias and I’m quite happy to say has spread the blogger world over. The rules are quite simple, you’re challenged by another mummy (I was tagged by one rocking mama Amber from The Momprovisor) to stop, reflect and find the 10 things (no matter how big or small) that make you a super awesome mummy! Once you’re done, you challenge 3 – 5 moms that you think should take stock of their awesomeness! Easy peasy….until you sit and need to start typing (or scribbling – that’s where I started). Wish me luck cause here I go! I have been known to shamelessly sing to Justin Bieber in the car, with witnesses because Joshua is officially a Belieber (OMG how do I know that is a thing!) Ok, so maybe not so shamelessly, but I’m more a Pearl Jam and Radiohead kind of mommy so definitely scoring some bonus points on this one! I wake up at 5am. By choice. With an alarm – I am NOT a morning person. I probably genetically closely related to a cat! 5 am is pretty impressive, it means I get a jump-start on lunch boxes and the morning rush before they’re awake so that there is less Momster and more patience during the school run. I make time for Me-Time! It’s not always easy and I do feel the guilt, but I’ve realised it is harder on everyone if I do not make the time! I let them jump in muddy puddles – this is a hard for me and one I have had to learn to make peace with because, where they see a puddle and endless fun, I see wet shoes, pants, socks and hair. I see dirty car seats and grubby paws. But I have learnt to relax (or they just wore me down) and let them just be boys. They still have 2 arms and 2 legs and the toes are pretty intact. Is that me scraping the bottom of the barrel? So far it’s just been a couple of stitches and I’m sure that just builds character anyway (“Chicks dig scars,” I believe is what Hubby proclaimed after our first ER visit). Cuddles and snuggles – man they’re aplenty in our home. We’re all super affectionate and I will never turn down a sloppy kiss or cuddle no matter how icky or sticky it is! Liam will go out of his way to hug a friend at school who is having a, “I don’t want to go to school,” kind of day. These two monkeys have manners! I refuse to allow them to grow up as expat brats, so sometimes I may be a bit strict but at least they know to ask before leaving the table. I am always on the look out for new things for them to try but also do not force them into participating if they don’t feel like it. I apologize. Sometime I get things wrong. Sometimes, I’m not as patient as I should be. While that is not ok, I am proud of being able to admit to myself and them when I have gotten it wrong and hope that will teach them to the same in their lives. Some of those were hard to get out and had me scratching my brain! 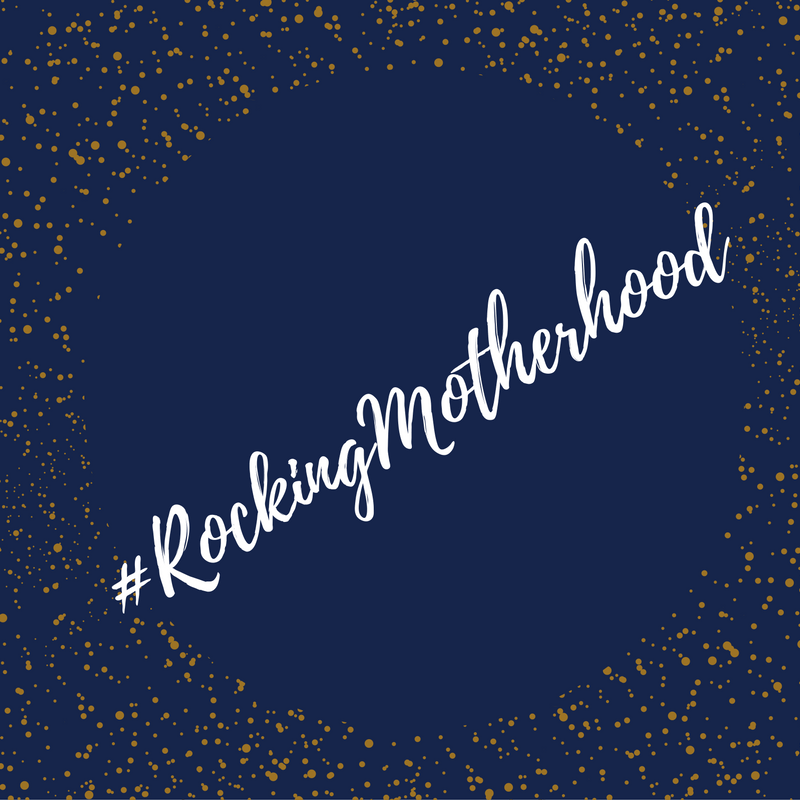 What are your favourite #rockingmotherhood moments, please share them on social media, napkins or bathroom stalls. Anywhere, as long as you acknowledge them and share them! Previous articleGeneral musingsHigh Fives & Happiness: You must do the thing you think you cannot do. Next articleGeneral musingsHigh Fives & Happiness: Some beautiful paths cannot be found without getting lost. Loved this. Thanks for the tag. I am thinking hard now!! I’m sure you’ll find a tons! Great thoughts 🙂 As for my parenting journey, I am trying to be a cool mom and the best ever friend that my child could ever have! And I am sure you are being awesome at it! Love this!! I think the last one, to apologise, is so important, not only for ourselves but to teach the same thing to our kids. Exactly! That’s my take on it too, they need to learn from us that when it’s needed, you need to fess up, swallow your pride and apologise! Totally love this Paula! You rock as a mom! I loved reading your post! You sound like an awesome, fun, and loving mom. I love the part about singing too! Great job Mama! a great addition to this challenge! you are so rocking it! It is nice to see how you rock the motherhood.And glad that you find ‘me time’ anyhow.Parenting is not so easy.But,when moms do their job right,kids will be the happiest!